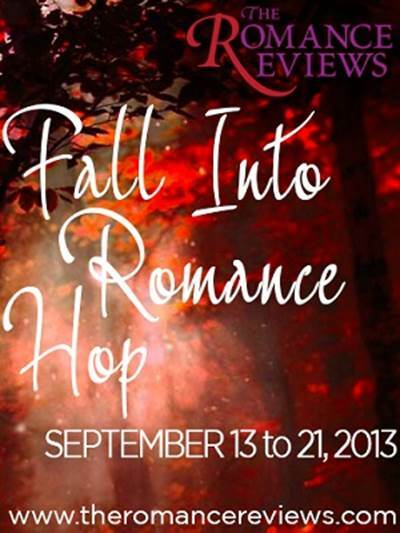 Fall into Romance… The Romance Reviews Fall Hop and Giveaway! Today begins the Fall into Romance Blog Hop on The Romance Reviews, and it made me realize that my favorite season is just about to begin. 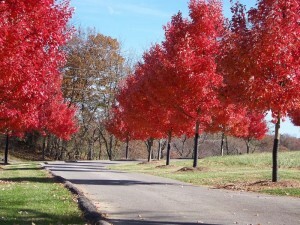 For years, I’ve jokingly referred to autumn as my “Holy Season”. Give me boots and sweaters over sandals and sundresses any day. I love the cool clear mornings when the air is so fresh it is like biting into a crisp apple. The crunchy sound of leaves underfoot on the sidewalk, the wet earthy smell of the ground, the delicate spines of frost on the grass in the mornings. The first day when you realize the leaves are starting to turn, or you hear the honking of geese overhead, or when the temperature drops by twenty degrees… oh yes, I smile and dream of pumpkin pie, and cups of hot chocolate, and the first night we light a fire in the hearth. Oh yes. Spring is nice, but give me autumn any day. So as part of the The Romance Reviews Fall in Romance celebration, I’m doing a Q&A and a giveaway. There are lots of featured authors, prizes, and contests, so go check it out! If you are here seeking the answer to the giveaway, it is: A World War 2 listening post. Want to know the question? Check out the Q&A here on The Romance Reviews Event page (question #66). In other news, I recently got an outstanding review for Crying for the Moon from Rainbow Book Reviews! It was completely unexpected and it made my day! This entry was posted in Uncategorized and tagged blog hop, Crying for the Moon, promo, reviews, Sarah Madison, The Boys of Summer by Sarah Madison. Bookmark the permalink.